Would love to share our experience with Fei Wedding for the Pre-wedding Photography as it was above satisfactory! 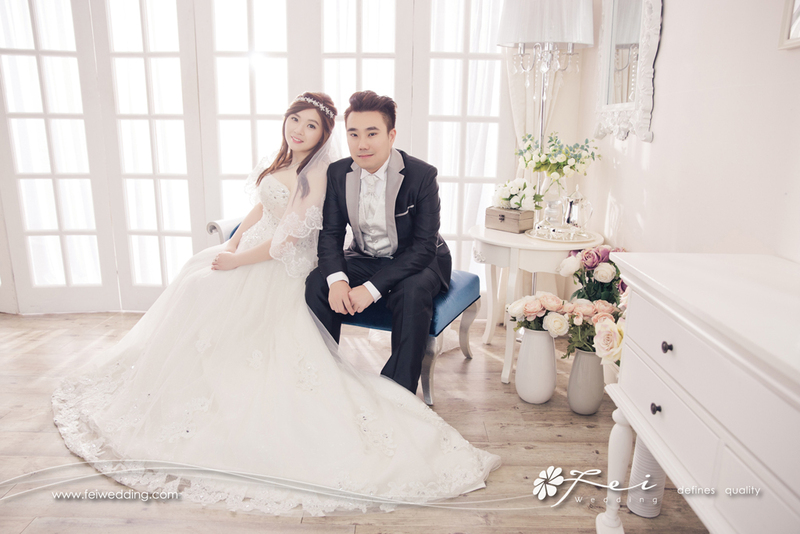 We have been looking for a photography company which has its own studio in Hong Kong with Korean style and we are so lucky to find Fei wedding online as they are able to provide everything we need and what we ask for. The Secret Place studio is very attractive to us and without a second thought, we decided to go for it! Besides the Secret Place Studio we selected, we also joined one outside location. All the staffs are friendly and very patience to explain every things to us (even though all the dumb questions or concerns we got). We highly appreciated Ar Po, the Senior Wedding Consultant with all the help throughout the whole pre-wedding experience. She explained so well on the first time we met regarding to the package they offered and provided professional advise. With no doubt, we immediately join their Big Day package on the same date! The follow-up services from Ar Po was so great which really leave us with no concerns at all. We can’t really express how satisfy we are with Ar Po by wording but we deeply appreciated her services to us! In addition, our experience to select the bridal dresses and suits was out of my expectation. Freda is the person helping out to select the dresses and suits. Honestly my fiancé and I are not those skinny type of persons and we have been worrying on how the dresses and suits are going to suit us. Instead, we felt so comfortable the whole time with Freda as she gave us a lot of suggestion with the choices which make us a lot easier and she understand our concerns and has been doing a great job providing the best option so we can look gorgeous in our pre-wedding pictures. A really BIG thanks to her as the outcome of the selection in the pre-wedding pictures is absolutely great. Pat was my make-up artist on the pre-wedding date and with no doubt, her professional service which made me feel that she is the best make-up artist ever!! She would communicate with me and tried to understand exactly what I want and without any disappointment, my make-up was way above expectation. She took care of me so well the whole time. She understood that both my fiancé and I were so nervous in the beginning and she has been trying her best to make us feel more relax. Really appreciated all her help and her contribution really make the pre-wedding images even better! At last, thank you so much to our photographer, Sam and his assistant! The first time when we met Sam, we found that he was a bit cool, however, he knew what exactly he was doing and gave us the best instruction on how to post (as we were like 2 Robots…) As mentioned, we are not those skinny types so Sam did a great job as all the pre-wedding pictures looked absolutely beautiful with the best angle and lighting effect! It has been a great experience! 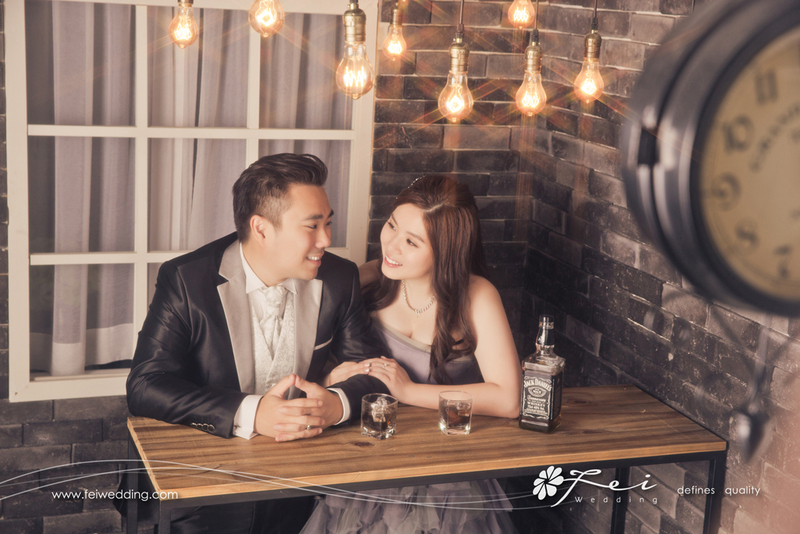 In conclusion, we are very satisfy with all the services provided by Fei Wedding on our Pre-wedding and we really look forward to work with Fei Wedding again for our Big Day! !